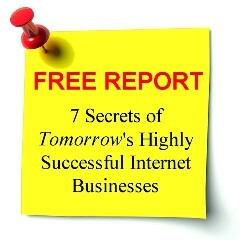 In my free report, I wrote that the Internet is commoditising many products, services and talents. Commodities can only compete on price. If you are a commodity, competition can only drive your profit margin towards one-direction—down. Good luck to you if your competitors are from low-wage and low-cost developing countries. As a commodity, you are at the mercy of market prices. Therefore, if you do not want to be a commodity, you have to become a brand. A brand takes time to build and cannot happen overnight. Often, that means you will have to go as far as to sacrifice short-term profitability and cost-savings to achieve your longer-term goal of becoming a brand. So, what must you do to become a brand? The first thing you must do is to define your business’s spiritual and business mission. I’ve written an article about that and I highly recommend that you read it. Do not skip this step and think that this exercise is a waste of time. If you notice carefully, all great brands have a mission behind it, whether implicitly or explicitly. The mission is like a rudder of a big ship. Though it is small, it sets the direction for the entire ship. In the same way, your business’s missions set the course and ethos of your business. That in turn set the underlying messages and signals that your business will consistently radiate to the public. These in turn will gradually engender the perceptions and feelings the public will have for your business, which in turn gives rise to the image of the brand. Once you have a mission defined for your business, you will have to define the unique selling proposition (USP) of your business. In other words, you have to think about what makes your service/product unique in the market. You may think that it is already too late because you are already in a commodity business. But do not let this stop you. If you believe that, you can never get out of the ‘commodity hole’. To do this, you need to pull out your thinking cap and utilise all your creative energy to come up with a USP. Often, that will involve a paradigm shift as you redefine and reframe your products/services. If you need an excellent example on how this is done, take a read at this article followed by that article. They show how Robert Kiyosaki, author of Rich Dad, redefine and reframe his product from a game in a commoditised market to an educational resource bearing his brand. Next, you will want to look at the vision of your business. A vision is what you believe to be ideal state for the universe (okay, “universe” is a bit of exaggeration, but you get my drift) and how your business will play a role in it. Your business’s vision is what keeps everyone involved in it (and your customers as well) passionate. Again, if you notice carefully, great brands stir up people’s passion (e.g. Apple). Have you ever seen any commodity products/services inspiring great passion in the hearts of the masses? If you want to become a brand and avoid becoming a commodity, you must do these three practical things. I say they are practical because you can start doing them as soon as today and they aren’t beyond the reach of any business owners. Yes, I agree that they take time and will contribute absolutely nothing to your bottom line in the immediate future. But this is exactly the sacrifice that I talked about in the second paragraph. Now, what must you NOT do? When it comes to defining the business’s mission and vision, description of their products/services and what it does, I’ve seen some business owners doing a copy and paste jobs. Straightaway, customers can smell that they are a commodity. Make no mistake, brands don’t copy and paste! Brands become what they are because they are creative. Next, do not be cheap at the expense of undermining the long-term goal of building your brand. I’m not saying you should be spend-thrift and throw away big money. But what I’m saying is that you have to watch out for the hidden costs behind procuring cheap products/services for your business. Often, cheap is tempting because it gives an immediate boost to your bottom line. But as the adage goes, “You pay peanuts, you get monkeys”. Cheap products/services may turn out to be the most expensive in the long run, particularly in terms of sucking away your time and energy and diluting your brand in the long run. Instead of being cheap, know the difference between cheap and value. Go after value, not cheapness. Finally, remember that becoming a brand is a journey, not techniques that you perform. If you do not have a mission, USP and vision as the cornerstone of your business, you cannot climb out of the ‘commodity hole’. Posted in Slider, Strategy and tagged brand, commodity, mission, Rich Dad, Robert Kiyosaki, USP, vision.